The United Nation High Commission for Refugees and the Thai Ministry of Interior are planning a joint exercise to verify refugee population in the nine camps along the Thai-Burma border in January, according to sources from camp service providers. Saw Robert Htwe, chairperson of the Karen Refugee Committee confirmed to Karen News about the planned verification process. Saw Robert Htwe said that verification will categorize registered and unregistered refugees, but said he has no information about the deregistering of anyone who are recorded, but fail to show up for the current verification process. Refugee camp official sources said that there has been consultation or meeting by UNHCR about the planned verification in some camps in recent days. Saw Honest, leader of Mae La camp, that is home to more than 40,000 refugees in Thasong Yang District, Tak Provice, spoke to Karen News about a meeting that took place to discuss the planned verification. 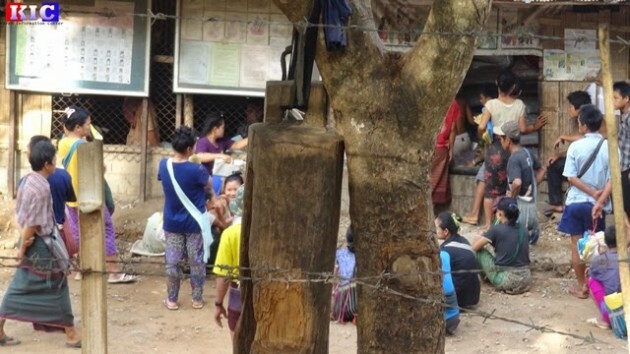 Naw Htoo Lwe, secretary of the Karenni Refugee Committee in Mae Hong Song Province said that she hopes the verification will be of benefit to the refugee in some way. Speaking to Karen News, Naw Htoo Lwe said. The latest figures from The Border Consortium there are more than 120,000 refugees from Burma living in the nine camp along the border – Nu Po, Umphiem, Mae La, Mae Ra Ma Luang, Mae La On, Tham Hin, Ban Don Yang, Ban Mai Nai Soi and Ban Mae Surin which is also known as Karenni camp 1 and 2. The The Border Consortium, is a humanitarian aid agency that provides food and shelter to the refugees. Refugee issue came into limelight after recent political changes in Burma, particularly preliminary ceasefire agreement between Burma government and ethnic armed groups. Last year, when army chief of Burma General Min Aung Hliang met with Thailand’s army chief at the time, General Prayut, refugee issues was on the agenda for discussion. Although refugee agencies including the UNHCR have said the situation in Burma is not yet conducive for an organized return of refugees, people living in the camp are seeing a stricter reinforcement of policies by Thai authorities, restriction of movement and a declining humanitarian assistance to refugees in many sectors, including food, healthcare, education and other services.